The new GEL-FASTBALL 2 gives you comfort and ride suited to the fast, aggressive player and has a lot of lateral stability so you can move quickly all around the court. RhinoSkin/Open mesh Upper Take to center court and show up in style with the Asics Gel-Fastball 2 Indoor Court Shoe. Its upper construction is set with a open mesh material, this is placed across the shoe to provide excellent comfort and breathability. It allows fresh air to permeate the interior layers keeping the foot cool and comfortable while also offering reduced irritation from seamless stitching. The Gel-fastball does not pass on support as the mesh is covered with durable RhinoSkin overlays. This covers the upper body with an abrasion and tear resistant synthetic leather for increased upper durability while being more flexible when running. It actively secures the foot in place through medial and lateral movements, while still maintaining its shape and form. 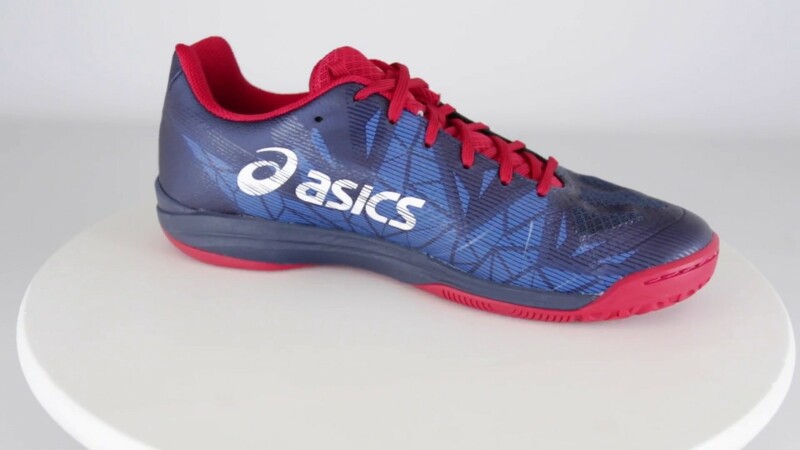 Finally at the rear of the upper construction cushioning properties are applied with a Personalised heel fit which is 2 layers of memory foam that line the collar and mould to the athlete’s heel, creating a personalized fit for the Achilles as you transition from foot to foot. SpEVA/DuoMax Midsole Asics have assigned the Gel-Fastball II with a bounty of dual midsole technologies to provide the wearer with exceptional stability and comfort. A full-length SpEVA midsole works in unison with the DuoMax support system to provide bounce-back and cushioning to keep a spring in your step whilst playing, and give you continued energy return, even as you tire. Rearfoot and forefoot GEL units work in tandem with the SpEVA midsole offering support that Attenuates shock during impact and toe-off phases, and allows movement in multiple planes as the foot transitions through its natural movement. 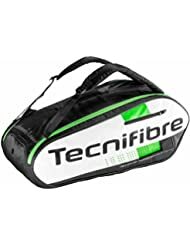 Tecnifibre Squash green 9 racquet bag proves to be a solid on and off court travelling partner with the two generous compartments able to fit up to nine rackets. The bag features special ventilating perforations inspired by those included in racing cars to ensure impressive breathability and freshness. Additionally, you can store your favourite playing pair separately from the rest of apparel, thanks to a shoe compartment, and for accessories there is a small side zippered pocket. 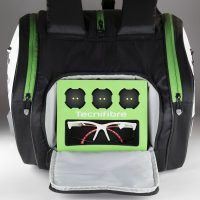 Moreover, the bag can be carried comfortably thanks to adjustable backpack straps, or alternatively with a practical carry handle.